Marie & Ola, Thank you. This is the second time in 18 months that I have asked for one of your vases in specific colourings. And when it hasn’t been available, you have had them made specially for me. Not only that, but each time you have made two and allowed me to choose from photos which one I would like to purchase. Last time the vase was a present for a friend. At the time I was tempted to buy one for myself but didn’t. But now 18 months later, I have purchased one and it has put a smile on my face. You also specially made a pendent to replace the one that I broke a couple of weeks ago. 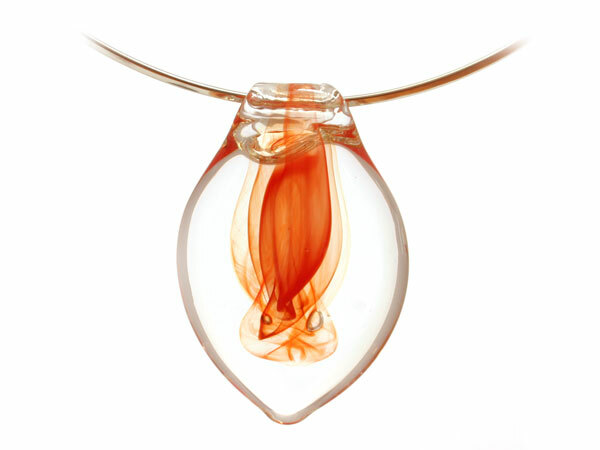 I love the pendants and they have a soothing power to them. I often touch mine if I am in a meeting or other situation where I just need a few seconds to gather my thoughts and regain my peace.